Why should my company join the chamber? Complimentary link from the Chamber Website, which averages more than 16,000 hits per month, which triples during the summer months. Complimentary use of Bulk Mailing Permit. The Huron Chamber of Commerce is a vital link which individuals need to get connected and involved in the Huron business and civic community. It is the way to position your business and make a positive, long-lasting impact. Through an assortment of networking and committee project opportunities, you and your company will work hand in hand with other respected leaders in the Huron business community. Dollar for Dollar, your annual investment in the Huron Chamber of Commerce is the best value in the entire Erie County Area. Our newsletter reaches key persons in Huron, as well as surrounding markets. Our regional marketing efforts at boat shows and cooperative advertising reach thousands of visitors annually. Our partnership in community services, such as the annual waterfront clean-up and the Huron Playhouse, helps improve the quality of life and contributes to making this an attractive area to recruit quality employees. Our involvement with technology and the internet promotes our area in many innovative and cost effective ways that are way ahead of even much larger area Chambers. 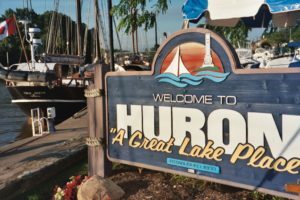 Huron Chamber Members are local merchants, plant managers, small business owners, and civic leaders who see a bigger picture of promoting a strong community, supporting each other, searching for economic development opportunities, and making a difference. Anyone can open up shop, make a few bucks during a lucky year, and just get by. Huron Chamber Members are leaders. They are the best. And together, they support our schools, programs, and quality of life in Huron Ohio.